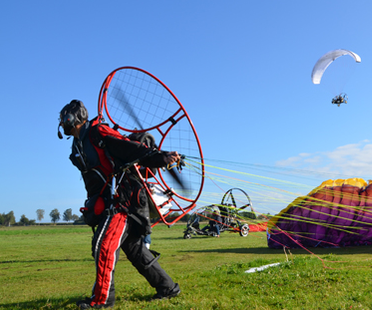 This Course is designed specifically for those that know they want to fly a paramotor. Every pilot’s training experience is a unique journey. Every student is an individual with different strengths, different physical abilities and an individual approach to learning earned from a lifetime of experience. At Poliglide we have decided it’s time to change the delivery of training to suit the individual; to allow each pilot to travel their own path to the sky; to recognise the huge drain 2 weeks of training can have on the family and working lives of busy people; to make the dream of flight not only more achievable but a more holistic and enjoyable experience. It no longer makes sense for us to sign everyone up to the same two week, intensive course. We love to fly, it’s our passion, and we want you to become a pilot that recognises that the completion of training is just the beginning of a lifetime of successful and safe aviation. 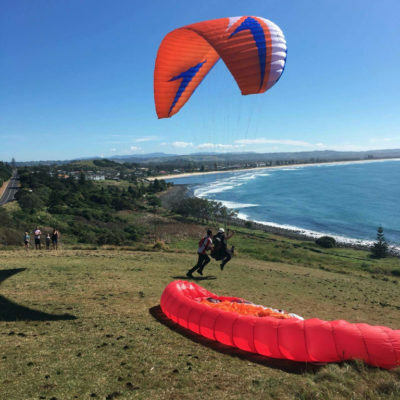 To become a certified Paramotor Pilot the Hang Gliding Federation of Australia (HGFA) requires you to complete 20 hours of Paramotoring with 30 flights over a minimum of 12 individual days of training. With your dedication to the training, making sure you are both mentally and physically prepared and if the weather cooperates, this is achievable and some students really like the idea of a 12 day flying holiday. A growing number of pilots don’t want to follow that path though, they want to break the training up into less stressful, more enjoyably, time sensitive and financially manageable blocks. Additionally, after running this course for some time we have learned that breaking the course up to allow students to recover from the physical/mental demands of the training has beneficial results on the safe progression of learning. Training is now delivered in 2 stages. Stage 1 is a 7-day block, the foundation and advancement of the fundamental skills benefit greatly from working with you every day while we build on each previous days lessons and start to develop muscle memory. 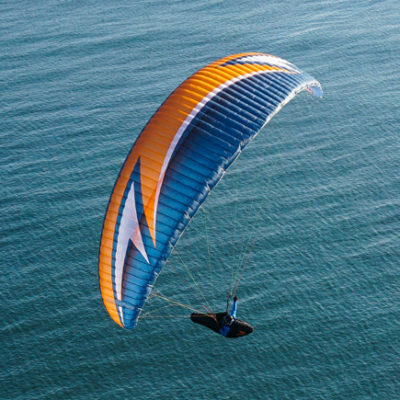 During this stage you will become comfortable with controlling the wing, launching, landing and learning the basics of flying a Paramotor. 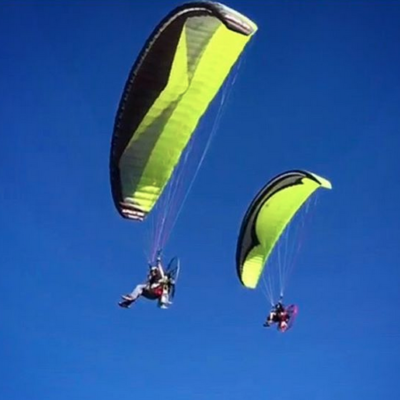 We will cover the theory, ground handling, non-motorised flights using a winch system, dual seat tandem instruction if required and your initial Paramotor flights. 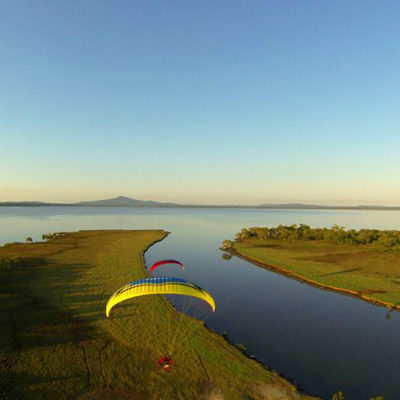 Stage 2 consists of a minimum 5 more days of Paramotor flights, including a day of Paramotor cross country flying. This can be completed in a block, or by joining with our training over a series of weekends/singular days according to the demands of your schedule. Your Stage 2 flights can be done at the same location or you may choose to complete your 20 hours at one of our other locations. If the Stage 1 7-day block is unrealistic or unachievable for your situation we can discuss a more tailored course delivery to suit your individual circumstances. We use our state of the art towing system to teach you the initial launch, landing and maneuvering skills. 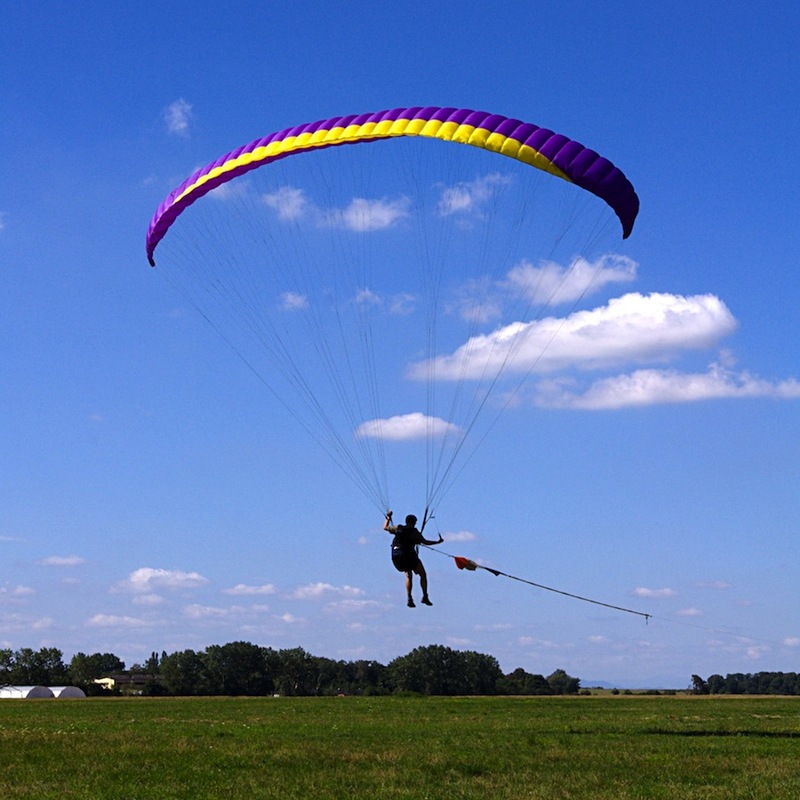 Worldwide, towing is the premier method for teaching this phase as it provides a flat ground, propelled launch that closely resembles the powered launch of a paramotor launch without having the extra weight of the motor on your back. 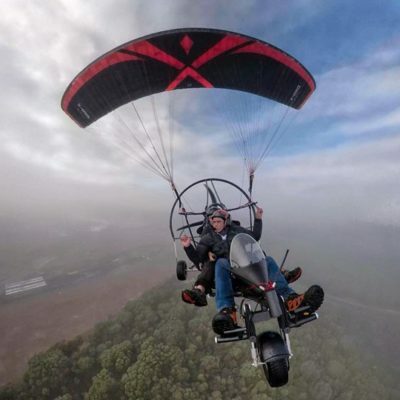 As you do not require ridge soaring skills to gain your Paramotor Certificate your time is utilised in building skills toward motor hours with no need to “chase the wind” to different launch sites. 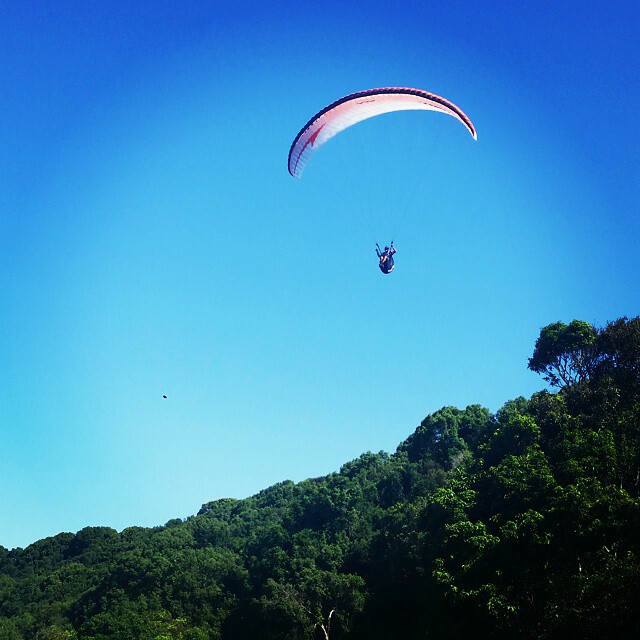 If you decide you would also like to have your non-motorised Paragliding Certificate, this can be easily achieved in a PPG-PG Conversion course at another time. 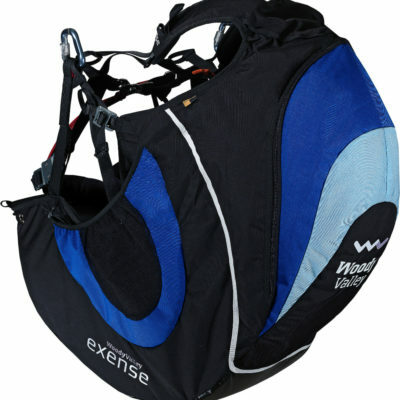 You can bring your own gear or hire it from us. If you do bring your own gear it must be airworthy and of a suitable rating for student use. Paramotor hire $85.00 per hour wet hire. Minimum training price for PPG Certificate is $3600 for twelve days of training. A wheel based version of this course is also available. Both motor and wing hire are subject to availability and T&C’s apply.